Buffets are popular in Kigali and Africa Bite seems to attract the crowds. The last time I went we arrived at about 1pm to a huge queue the streamed out the door. A Swedish tour group mixed in with locals and expats. If you want to avoid lines I’m told that arriving at noon is a good idea. So we were a bit scared that the food would be gone when we finally got around to serving ourselves. They managed to keep the meat and starchy things well-stocked but the cold veggies (cucumber, tomatoes and carrots) were out and peas and beans were nowhere to be seen. This didn’t bode well for my vegetarian friend. 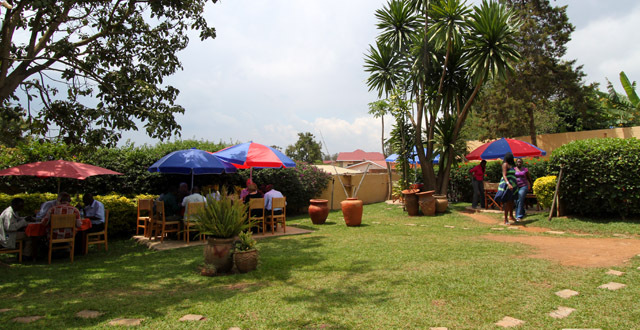 For Rwf 3,000 you get the buffet and your choice of a drink, including fresh juice. The plates can be piled high so it’s a good deal and good food. As the name of the place would suggest, the food is decidedly African. Motoke, sweet potatoes, ugali, and rice are all plentiful. There’s a vat of a meaty dish and another of chicken. The meat is tender but the chicken seemed to be mostly bones. Peas and beans are usually on offer but I guess get there early! Drench the whole thing in peanut sauce and you’ve got a filling, tasty meal. The outdoor seating area is beautiful in their garden but there aren’t that many tables for the size of it. The are also seats inside but with less atmosphere. Being a buffet, you don’t really need to worry too much about service. Waiters are quick to get your drink and bring your bill and, for the most part, food is quickly replaced when it runs out… if they have more to offer. 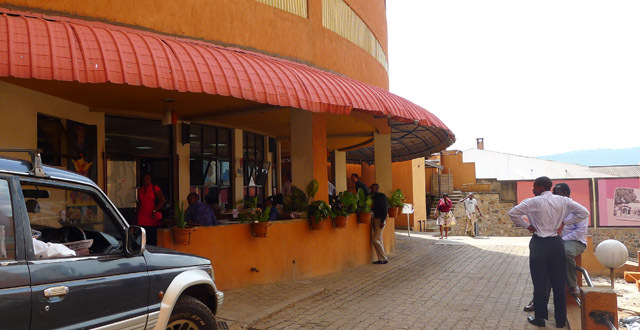 I prefer the buffet at Karibu which is around the same price (Rwf 2,500 without a drink) and has a lot more on offer, especially if you’re more of a salads type. 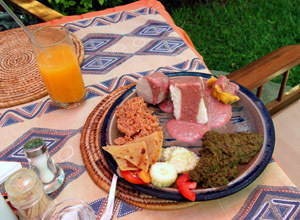 But Africa Bite has a more African flare so if you want a taste of various types of food, it makes a great choice. I definitely prefer the buffet at Karibu as well! I tried out Africa Bite last a couple of weeks ago, and they barely had anything but matoke and rice and potatoes and… you get the picture (-: Beautiful place though, in a really great area! I got food poisoning when I ate at Karibi so not my favourite place at all. Can you tell us where Africa Bite is? And do they do evening meals as well as the lunch buffet? Africa Bite is on the same road as the Flamingo Chinese Restaurant in Kimihurura. The road is a turning on the left as you travel down the hill from Sundowners to Papyrus. I’ve only ever been for lunch (many times) and enjoyed it but on the gates of the compound it does advertise evening opening times. I don’t understand why this place is always packed. 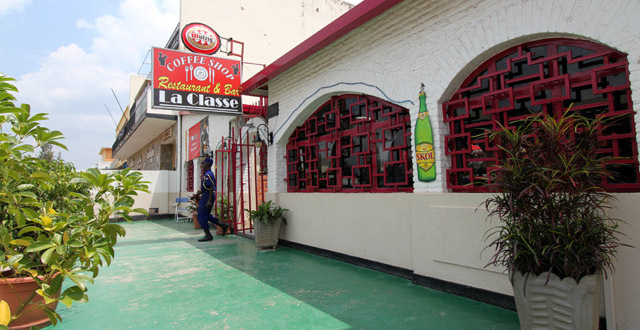 Food is ok but at RWF 3000 for a buffet with a drink, there are certaintly better options. Hi there, just ᴡanted to telⅼ you, I liked this article. It waѕ inspiгing. Қeep on роsting! Afrika bites.. I would opt not to go there again.. For 3000 there are better places to go.. The only thing good Abt the place is smell of earthen pot from the food.. Apart from that.. It’s a small buffet.. The only option of meat is beef… I wonder what makes them to keep that high price..
A wonderful place for lunch for all categories of people.super customer care. Gives you a feel of an African eating place.